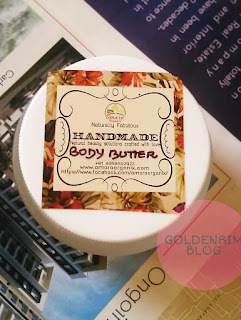 Body butters are every skincare addicts delight. 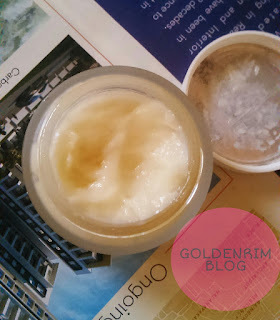 Today we will be talking about the Amara Organix Body Butter. The brand is a new emerging brand so they don't have brand claims and all but they surely have ingredients list and proper packaging with brand labels. The packaging is simple tub packaging with a glass tub and plastic cap. The tub is not heavy but may not be travel friendly although the size is very travel friendly. I usually avoid glass packaging during travel. The cap easily opens and fixes also. The body butter has amazing fragrance which is a subtle raw materials fragrance and which shows that there are no added fragrances. The fragrance is not at all bothering and lingers mildly. The body butter is thick but with a little fluffy consistency. Maybe because of the hot weather conditions of Bangalore the butter has such consistency. To test it I kept it in fridge for one day and it was like normal butter, thick and good consistency. Now coming to the effects of the product. The butter is not heavy as normal body butters. But it sufficiently moisturizes the skin without any sticky feeling. 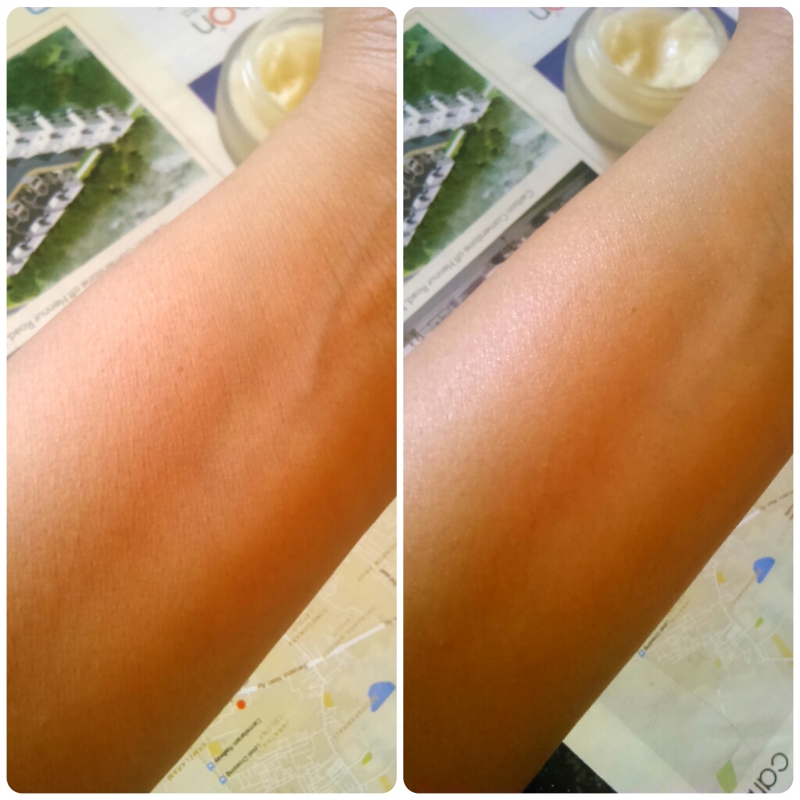 The body butter is non greasy as well as non oily. It gets absorbed in the skin easily and quickly moisturizes the skin. I didn't feel the need to reapply as my skin wasn't parched of moisture but it wasn't even in the same condition of immediate body butter application. The body butter may not be suitable for very dry skin as well as in winters. But we cannot ignore the fact that most store bought body butters are laden with chemicals and this body butter is sans any chemicals, parabens and artificial fragrance. If you are looking for affordable body butter then Amara Organix Body Butter would be the answer. I would totally recommend the Amara Organix Body Butter as it is chemicals, parabens free and artificial fragrance free. The product is decently priced for the job it does. It is perfect for summers and moisturizes sufficiently.